On top of lower reimbursements and free care, hospitals nationwide were dealt another blow last November. That’s when the national Centers for Medicare & Medicaid Services issued a final rule that imposes a site-neutral payment policy. That means outpatient hospital sites and physicians’ offices will get the same payments for certain Medicare visits. Until now, hospitals got a premium payment over private practices. 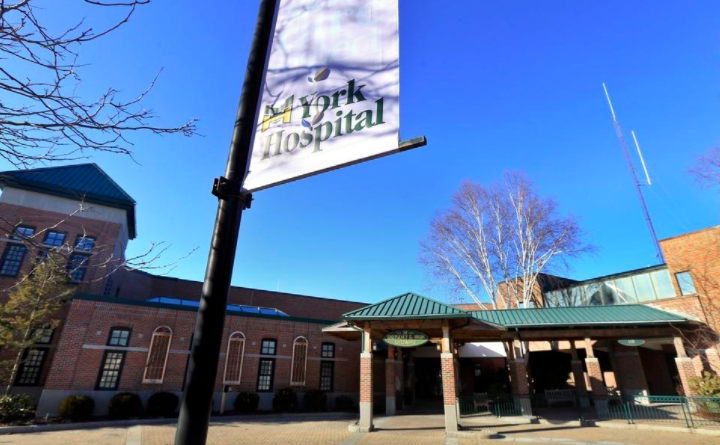 York Hospital and four other health care organizations nationwide filed a lawsuit on Dec. 6, 2018, against the Trump administration, alleging that new rules could dramatically reduce some of their Medicare payment rates for certain clinic visit services at some outpatient hospital sites. The new rule went into effect Jan. 1, 2019, and will be rolled out over two years. “That’s an approximately $40 million per year hit to hospitals in Maine,” said Jeffrey Austin, vice president of government affairs and communications at the Maine Hospital Association in Augusta. Unlike in Boston, in rural Maine private practices largely don’t exist, he said. Doctors couldn’t make it financially and flowed into hospitals. Some of the hospital employment is being driven by the aging population. But in the past two decades, employment growth has come largely from medical practices being absorbed by hospitals, said Glenn Mills, chief economist at the Maine Department of Labor’s Center for Workforce Research. “Health care is the fastest growing employment sector in Maine, with hospitals the fastest growing sector of health care,” he said. Austin said the percentage of physicians employed by hospitals in Maine has always been higher than the national average, out of necessity. In a study released last September, the American Hospital Association found that Medicare patients who receive care in a hospital outpatient department are more likely to be poorer and have more severe chronic conditions than those treated in an independent physician office. The report found that site-neutral payment policy could threaten access to care for the most vulnerable patients and communities. Lois Skillings, CEO of Mid Coast-Parkview Health in Brunswick, said site-neutral reimbursements create an unlevel playing field between hospitals and doctors that still have private practices. “We are a nonprofit organization so we are required to take care of everybody, regardless of their ability to pay. Private physicians don’t have to provide free care,” she said. Austin said the recent Medicaid expansion in Maine will help. “But that’s mitigating a loss rather than being a big windfall for hospitals,” he said.